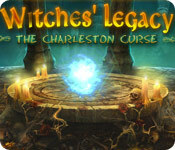 Witches' Legacy: The Charleston Curse is rated 4.1 out of 5 by 111. 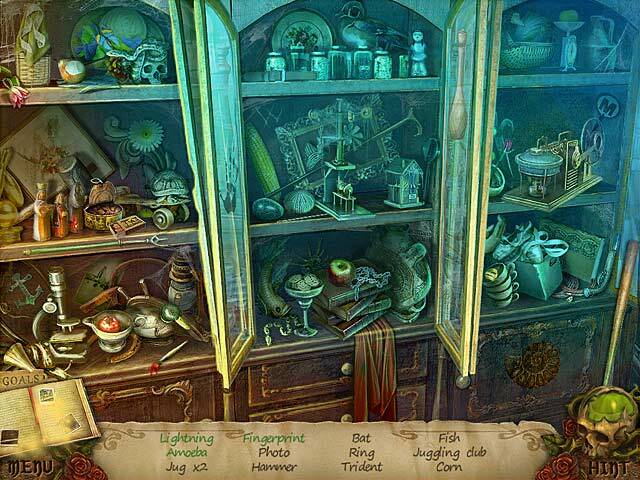 Rated 5 out of 5 by BooksandGameFan from My first foray into hidden object adventure games, it got me hooked! This was the first hidden object adventure game I ever played. I purchased the game on a whim from a thrift store and boy am I glad I did. This game still ranks as one of my top 5 all time favorite games! I loved staying within a house and going from room to room and back again. For the most part it was intuitive and logical. The story line was great, the graphics were really nice especially for an older game. This is one of the only games I've actually replayed and enjoyed it just as much the second time as I did the first time I played it! I've purchased all the others in this series here on Big Fish and I highly recommend them all except for Lair of the Witch Queen, I really disliked that game! This game gets 5 stars and two thumbs up!!!!! Rated 5 out of 5 by Taintedfury from Witches' Legacy: The Charleston Curse Good storyline....great graphics and meaning full music...heaps of puzzles to keep you busy plus you get to save Lynn from the evil Witch. P.s just don't forget the popcorn.. *Recommend* Thanks Bigfish. Rated 5 out of 5 by cbilbo from Creepy Witch! I really enjoyed this game. 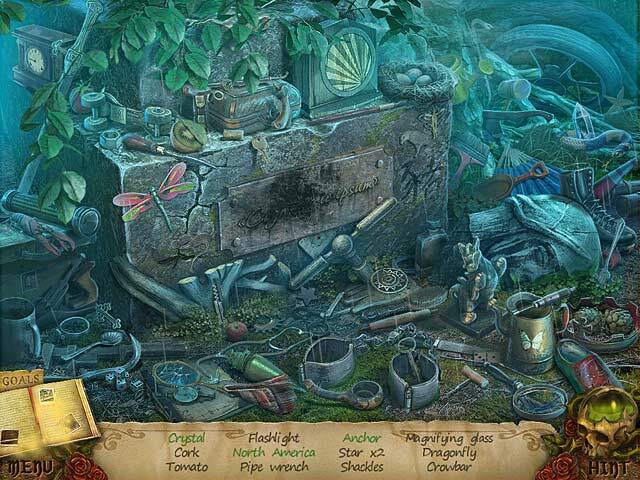 Being obssessed with hidden object games, I loved this one. There was plenty to hunt and find. The mini games were all easy to complete. The cut scenes were great. I like when they incorporate people into the game. Gives it a more realistic feel. Rated 5 out of 5 by huera from Witches Game I really liked the game as well as the story line. I would play another game by this maker. Rated 5 out of 5 by mariejack22 from Absolutely awesome! I normally don't bother with the witch hunt games, but this was absolutely worth it! Was hard dragging myself away when I needed to. I ended up staying up late to finish it! The graphics are great as well as the storyline. Was great being able to interact with the little girl you're trying to save. One of the best features is the hint feature. It didn't leave you guessing or cursing that you wasted your money on a game you couldn't finish. Even if the hint doesn't help it gives you the option to skip, collect the reward, and continue on. Very nice! This is one that is worth checking out! Fabulous! Rated 5 out of 5 by tesamoine from Extremely good game You are out to save a young girl before she is turned into a witch. The graphics and colors in this game were wonderful. Music was so-so, but I keep it on low. There is a choice of 2 modes of play. I played regular which gave me sparkles where there were HO scenes. The HO scenes were not massive in quantity and were clear with objects easy to find. They were also interactive. 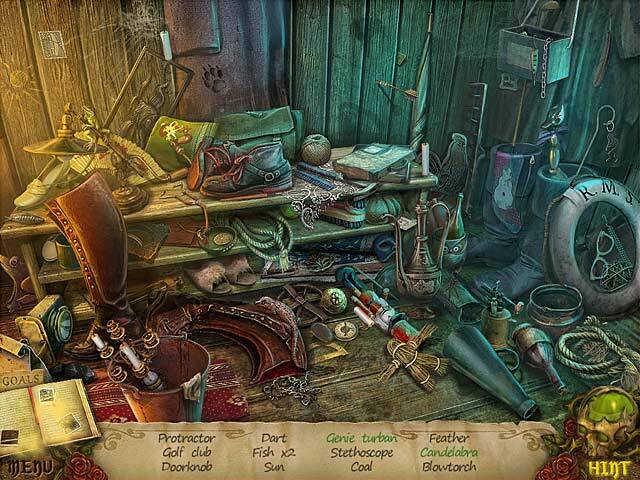 Many items to pick up around the house and use to defeat the witch and save the little girl. This game grabbed me from the beginning and I absolutely loved it. Not quite sure how long it is, but well worth a credit. Rated 5 out of 5 by centauri272 from Good game with lots to do! This is the kind of game, where you don't stop searching, checking, walking.... There is a lot to do. The story is interesting; there are some funny sequences. The graphics are not crisp, but clear and the objects in the HOS are quite easy to find. The mini-games are also easy. The hint system is good. There is a journal but no map, although you won't need one. The game is not too short and worth the money. Rated 5 out of 5 by Ancientsymbols from Great game I really enjoyed this game it was my kind of mind bending game. Rated 5 out of 5 by neilskinut from I like this game What a fun game. Good music and graphics. Has voice over. The hint button if you need words greats as it tells you want direction to go. The HOS are not that hard and the puzzles are not hard either. Just a fun game for playing. Rated 5 out of 5 by game_happy from Witches' Legacy: The Charleston Curse Another winner with all of my favorites - animation (or more like live actors), VOs, HOs and puzzles plus creepy. Couldn't ask for more in a game. The music was a bit dreary at times but considering the storyline, that was to be expected. There was a journal but no map. The hint button refilled quickly and acted as a guide to direct you from one scene to another. Didn't have to use the walkthrough at all. Love that hint button!!! LOL HOs were fairly clear with some items being smaller than others. A great game! Go for it!!! I have a feeling a sequel may follow.